​The Episcopal Diocese of Hawai‘i is committed to providing a healthy, safe, and nurturing environment where the full work of the Church can be carried out. Sexual misconduct violates the mission of the Church, is prohibited, and will not be tolerated. Please contact Denise Esposito for log-in information, or with any questions regarding Safeguarding trainings. The online training program is available HERE. Please note that you will need your user name and password in order to log in. Forgot password? Click on the "Forgot Password" link on the training site. Click on the title of the course to begin. Set the right conditions for learning. Create an environment with no interruptions, no phone calls, and no distractions. Set aside 30-45 minutes for each course so you don’t have to hurry. Have patience and take your time. Read carefully to make sure you fully understand the content. Rather than rushing through the training, plan to complete only one or two courses each time you login so you can really absorb what you’ve learned. Complete each course from beginning to end in one sitting. If you stop a course before you finish it, you’ll have to start over at the beginning of the section where you left off. When it’s time to move to the next page, an orange arrow will appear. Click the orange arrow to move forward. Do not use your browser’s forward and back arrows or refresh buttons, or you’ll find yourself back at the beginning of the course! The Diocese of Hawai`i has approved a policy for the protection of its members and others from abuse or harassment. It was most recently updated in February 2017. Please download the policy HERE. 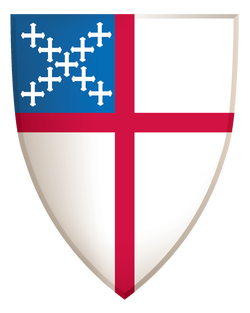 On or before April 1, 2017, the Vestry/Bishop’s Committee of each Congregation in this Diocese shall adopt this Policy by a formal resolution [click here for sample resolution wording], and the full text of this Policy shall be recorded in the official minutes of the Vestry/Bishop’s Committee. And, all clergy, all lay employees and all volunteers who regularly supervise youth activities, including unpaid Sunday School teachers, shall be furnished with a copy of this Policy and shall complete and sign an acknowledgement certificate evidencing the receipt of this Policy. On or before April 1 of each year, beginning April 1, 2018, the Vestry/Bishop’s Committee of each Congregation in this Diocese shall reaffirm the applicability of this Policy to all clergy, lay employees and volunteers of such Congregation. And, all clergy, all lay employees and all volunteers who regularly supervise youth activities, including unpaid Sunday School teachers, shall be furnished with a copy of this Policy and shall complete and sign an acknowledgement certificate evidencing the receipt of this Policy. Each Congregation shall retain the resolutions and documents among its permanent records. Additionally, copies will be sent to the Office of the Bishop and shall be retained among its permanent records. Who needs to complete the Training? Training is mandatory for all clergy, employees, and most volunteers. This includes all paid employees, members of diocesan commissions/ committees, youth group leaders and directors, sunday school volunteers and directors, choir directors, acolyte leaders, lay eucharistic ministers and visitors, vestry members, worship leaders, anyone going into someone’s home in any role related to the church, regular church volunteers, etc. Modules to be taken to satisfy requirements are determined by the Bishop and are based on your role. See the chart of “Safeguarding: Who Should Take What”. It needs to be renewed every three years. To simplify record-keeping, churches may opt to have everyone in their church on the same three-year schedule and/or to have a specific month each year by when everyone will have their trainings completed. Once you take complete the courses, click on the orange "View Certificate" button (just above the first training module) to print or download and save your certificate. Please e-mail it or give it to your church's office.